This problem has bugged me, litterarly, for some time now. When I moved a solution from dev to test I got a lot of errors on Workflows due to error in the currency. It was not a great problem in most cases since I just changed to an existing currency. The big issue occurred when I had an email template in the Workflow. The problem was the following: The name of the base currency, which was the one used, was SEK. In dev the display name was "Svensk krona" and in test the display name was "Swedish krona". When the workflow was imported, CRM couldn't match these. At first I thought it was a guid mismatch as it is with teams used in workflows and it was pretty straight forward to just change the currency in the Workflow. However, when you use an email template to send email, there is no currency field to change and the currency is still set somewhere. 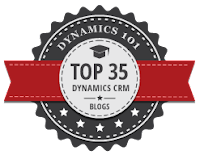 I found a solution to my problem at Dynamics CRM Funda blog. The solution is to rename the currency display name on the receiving system to match the source system before you move the solution, afterwards you just change it back. A bit akward I think but it works. A nicer solution would be to use the currency code as match instead of the display name, but again just change according to the reality. Nice Article.thanks for sharing this information.Looking forward for more posts like this.